It’s a matter of personal preference. Both new and older homes offer distinct advantages, depending upon your unique taste and lifestyle. New homes generally have more space in the rooms where today’s families do their living, like a family room or activity area. They’re usually easier to maintain, too. However, many homes built years ago offer more total space for the money, as well as larger yards. Taxes on some older homes may also be lower. Some people are charmed by the elegance of an older home but shy away because they’re concerned about potential maintenance costs. Consider a home warranty to get the peace of mind you deserve. A good Home Warranty plan protects you against unexpected repairs on many home systems and appliances for a full year or more after you move in. Do I need to bring anything along when I’m looking at homes? Bring your own notebook and pen for note taking and a flashlight for seeing enclosed areas. Be prepared to snoop around a little. After all, you want to know as much as possible about the home you buy. Sellers understand that because their home is on the market, it will be looked over pretty thoroughly. If you need to go back to a home for another look, we will be happy to schedule another viewing appointment. Be sure to ask any questions you have about the home, even if you feel you’re being nosy. You have a right to know. It’s important to know that the seller will supply the buyer with a Residential Property Disclosure, which is supposed to disclose any defects known by the seller. A copy of this form is found toward the back of this book. What should I ask an Exclusive Buyer Agent about each home that I look at? As a rule of thumb, ask any questions you have about specific rooms, features or functions. Pay particular attention to areas that you feel could become problem areas-additions, defects, areas that have been repaired. And above all, if you don’t feel your question has been answered, ask until you do understand and are satisfied. In most cases, we will be able to provide you with detailed information. What should I tell you about the homes I look at? Tell us what you liked and didn’t like about each home you saw. It is important for us to really get a feel for what you’re looking for in a home in order to find your dream home. Don’t be shy about talking about a home’s shortcomings. Was the home perfect except for the carpeting? Let us know that, too! There is no set number of homes you should look at before you decide to make an offer on one. That’s why providing us with as many details as possible up front is so helpful. The perfect home may be waiting for you on your first visit. Even if it isn’t, the house-hunting process will help you get a feeling for the homes in the community and narrow your choices to a few homes that are worth a second look. You’ll be one house closer to “your” home! If you’re looking in more than one community, try to make the most of each house-hunting trip. Stop by the local Chamber of Commerce to pick up promotional literature about the community. Or ask us for welcome kits, maps, and information about schools, churches, and recreational facilities. Also, be sure to take along a camera and snap some pictures of all the homes you like. That’ll make it easier to remember. What should I think about when I’m deciding which neighborhood I want to live in? Good city services, schools, nice parks and playground facilities, convenient shopping and transportation, a track record of sound development and good planning-these are just a few considerations that are important to many people when they choose a community in which to live. Charlottesville is MY home and I’m very familiar with the local neighborhoods, schools, and services it offers. I’m more than happy to be your best resource for information on this community! For more information about our neighborhoods, click to my NEIGHBORHOOD INFO page. Again, I am one of your best resources. I know where the local schools are, and can provide you with valuable information about school districts, including test scores, extracurricular activities, bus service and more. If you’re relocating, I might even be able to put you in touch with teachers and principals when you visit the area! How can I find out what homes are selling for in a given neighborhood? Home sales are a matter of public record. The Auditor’s Office, a local residential appraiser, the planning department for the locality or Charlottesville’s Multiple Listing Service are all resources the buyer can call on. All can be searched for recent sale histories, sale prices (or average sales prices), time on the market and other listing information for sales in any given area. However, a better and easier way for you to get this information is to ask me! If you’re interested in a particular home, I will provide you with a list of comparables – sale prices of homes in your area that are roughly the same size and age as the home you’re considering. Although there will certainly be some differences between the homes – the house next door may have an extra bedroom, or the one down the block may be older than the one you’re looking at – it’s a good way to evaluate the seller’s asking price. I’d like to have a professional look at the home before I buy it. What does a home inspector do? For your own safety, and to make sure you’re getting your money’s worth in the home you choose, using a professional home inspector is highly recommended. A home inspector will check a home’s plumbing, heating and cooling, electrical systems, and look for structural problems, like a damp or leaky basement. Usually, you call an inspector immediately after you are “In Contract” on a home. However, before you sign any written purchase offer, make sure that it includes an inspection clause or other language which says that your purchase obligation is contingent on the findings of a professional home inspector. A home cannot “pass” or “fail” an inspection, and your inspector will not tell you whether he or she thinks the home is worth the money you are offering. They are not there to address “value.” The inspector’s job is to make you aware of repairs that are recommended or necessary. A seller may be willing to renegotiate a price reduction to accommodate needed repairs, or you may decide that the home isn’t a right fit for you. A professional inspection will help you make a clear-headed decision. In addition to the overall inspection, you may wish to have separate tests conducted to check for termites, or the presence of radon gas or mold. I’ll be happy to give you information about these tests and recommend companies in the area that perform them. Yes. It’s not required, but it is very much to your advantage. You’ll be able to clearly understand the inspection report, and know exactly which areas need attention. Plus, you can get answers to many questions, tips for maintenance, and a lot of general information that will help you when you move into your new home. Most important, you’ll see the home through the eyes of an objective third party. Remember, the purpose of a home inspection is to help you learn things about the home that are not easily discoverable during your home-buying tour. The home inspection is NOT INTENDED to be a Laundry List of cosmetic issues or very minor repairs for Sellers to repair or replace. Do I need to talk to my insurance agent? Yes, and the sooner, the better. Most insurance professionals have a lot of experience in working with homeowners and can offer useful tips about home ownership, particularly regarding home safety and keeping your premiums low. Once you’ve found a home, work together to develop a homeowner’s policy that meets your individual insurance needs. You’ll need to supply your pre-paid policy to your mortgage lender prior to closing. What’s “earnest money,” and how much do I need? When you sign an offer to purchase, the seller will expect the offer to include earnest money – that is, money that shows you are serious about wanting to buy. Usually, you will be asked to write a check for an amount, established by you. If your offer is accepted, your earnest money will be held in your agent’s folder. Once all contractual contingences are released, the money will be deposited in a special non-interest bearing trust account. At closing it can be included as part of your down payment or returned to you. If your offer is not accepted, we’ll simply hold the check if you like, uncashed. But keep in mind that if you back out after all contingencies have been removed; you will forfeit the full amount. Yes. Home warranties offer you protection against many potentially costly problems not covered by your homeowner’s insurance. They’ve become increasingly popular in recent years, and for good reason: the coverage can save you thousands in the event of a major mechanical breakdown, at a time when your cash reserves may have been depleted by your down payment and moving expenses. Ask us whether a Home Warranty is offered when looking at homes. But remember, if it is not offered, feel free to ask for it when writing the offer to purchase. The Home Warranty will give you the peace of mind necessary to feel comfortable in your new home. In most cases, the warranty plan will cover appliances, hot water heater, air conditioning units, electrical systems, garage door openers, plumbing systems, heating systems, faucets, ceiling fans and water softeners. There is really no rule to use in calculating a realistic offer. Naturally, the buyer wants the best price and value and the seller wants the highest price, but negotiations can be influenced by many factors, such as a seller who may be changing jobs and wants to sell quickly, or a buyer who really wants a specific home. Together we will look at the home’s features, ask questions, check comparables, take into account your lending profile, and develop a sound strategy that will enable us to determine the best offer price. With this approach, you are not simply relying upon the information furnished by the Seller’s agent, which likely supports a higher than market value price. You are making an informed decision. Most buyers and sellers negotiate on price until both agree. When the price is agreed upon, the paperwork will be signed and initialed as needed by both parties. At that point, you typically will begin the process of arranging for home and wood destroying insect inspections. If I’m moving a considerable distance, how can I gather information about the area? Whether you’re moving across town, across the nation, or around the world, I can help. 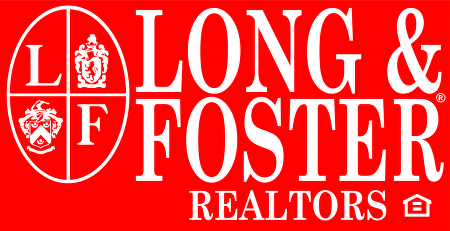 Long and Foster’s Buyer Relocation Networks are skilled in handling the special needs of families involved in the relocation process. We understand your needs, concerns, fears, anxieties and joys, but most of all, we know how to get you and your family from here to there with minimal stress and inconvenience. What is a mortgage, and what are the benefits of different kinds of mortgages? Simply put, a mortgage is a loan that a home buyer obtains directly from a lender to purchase real estate. The mortgage is a lien on the property that secures a promissory note (promise to repay the debt) that states the terms of the loan, including the interest rate, and the number of payments. The most popular mortgages available to home buyers today can be divided into two general categories: those which offer fixed interest rates and monthly payments, and those where one or both of those factors are adjustable. Fixed rate/fixed payment loans are more traditional, and remain the most popular home financing method, currently accounting for about two-thirds of all residential mortgages. Their advantages are well-known: You always know what your monthly principal and interest payment will be, so your basic housing cost will remain unaffected by interest rate changes until the mortgage is paid off. Mortgages that entail flexible rates and/or payments have grown in popularity during periods of high interest rates and/or rapidly rising home prices. Many, including the popular ARMs (Adjustable Rate Mortgages), offer lower-than-market initial interest rates that allow buyers a measure of affordability unavailable in fixed-rate loans. The trade off may be higher interest rates and higher monthly payments later on. As yourself the question: Is my income expected to go up in the future, or not? What are the steps involved in the loan process? The information your lender needs is not much different than what is needed when you apply for a major credit card: names and addresses of your employer and bank account numbers and balances. The lender will also need other financial information such as installment payments, auto loans, charge cards, and department store accounts. The location and description of the property also are required. Your lender will verify this information with your present and past employers, order a routine mortgage credit report on your current and past accounts, and order a professional appraisal of the property you’re wanting to purchase. Allow yourself one to two weeks to complete the application process. Then once all the verifications have been completed, your lender will underwrite and approve the loan. Overall, the time from the date of application to the date of move-in is generally three to five weeks for conventional loans, four to seven weeks from the date of application for FHA loans, and five to seven weeks for VA loans. Pre-qualifying for a mortgage up to a certain amount is a verbal exchange in which the lender tells you in advance approximately how much money the buyer is able to borrow, based upon the information you provide the lender on your debt and income. Pre-approval goes a step further than pre-qualifying. It is an actual commitment to lend, provided that, when the borrower is ready to buy, he or she still meets all the qualifying conditions that were met at the time of conditional approval. We strongly recommend it to give you the best negotiating position.